Mercedes has given its popular Vito van a mild update, bringing new, cleaner engines to go with the recently refreshed trim line-up. Though the Vito range was simplified to three trim levels – Pure, Progressive and Premium – the engine and drivetrain selection remains diverse. There’s a choice of three engine variants for rear-wheel drive models, badged 114, 116 and 119 CDI. They offer 136bhp, 163bhp and 190bhp respectively. In panel van form, 114 and 116 CDI variants are paired to either six-speed manual or seven-speed automatic transmissions, while 119 CDI units feature an auto gearbox as standard. 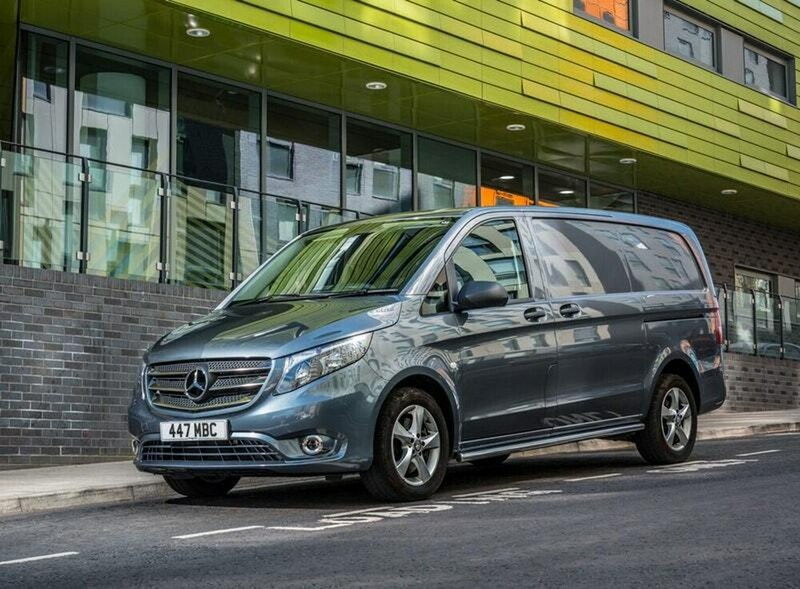 For the crew van model, with an extra row of seats, both 116 and 119 CDI units feature the standard automatic. The range will also see the reintroduction of a front-wheel drive model. All engines are compliant with Euro 6c emissions regulations – the standard for WLTP lab condition measurements. Mercedes will also introduce a new model to the Vito Tourer minibus range for September production onwards – one that’s certified to the very latest Euro 6d-Temp emissions standards. The unnamed powertrain will be coupled to Mercedes’ nine-speed automatic transmission, and the brand says it can deliver a 13 per cent improvement in fuel consumption and CO2 emissions. The new drivetrain will emit 156g/km in the Tourer. All models built after May will include a range of new Mercedes connected services as standard. The Mercedes PRO connect includes automatic emergency calling, maintenance management, breakdown assistance, and the ability for company fleet managers to monitor their vehicles position and trips.